A young animal has never had much energy. He is brought to a veterinarian for help and is sent to the animal hospital for some tests. There they discover his mitochondria can use only fatty acids and amino acids for respiration, and his cells produce more lactate than normal. Of the following, which is the best explanation of his condition? A) His mitochondria lack the transport protein that moves pyruvate across the outer mitochondrial membrane. B) His cells cannot move NADH from glycolysis into the mitochondria. C) His cells contain something that inhibits oxygen use in his mitochondria. D) His cells lack the enzyme in glycolysis that forms pyruvate. E) His cells have a defective electron transport chain, so glucose goes to lactate instead of to acetyl CoA. A) So, from this assumption, pyruvate would build up in the cytosol of cell. However, I do not see why lactate would be formed. Lactate forms when there is a lack of NAD+. In this case, there is no problem with NAD+. All NADH will be recycled into NAD+ by the Electron Transport Chain in the mitochondria. B) I do not know what will happen in this case. Too many contradicting factors. Can anyone explain? C) This is clearly not correct. If there were no O2,then there would only be lactic acid fermentation; the protein and fatty acids would not be used. D) If lactate is formed, pyruvate must have been formed. E) The electron transport chain needs to work. See C). Same explanation. So, I am debating between A and B. Can anyone explain why the textbook says A? EDIT : If anyone could give me a step-by-step approach to solving this problem, I would really appreciate it. This is supposed to be a challenge problem not representative of test questions, but I still want to fully get it. (A) is a possible answer and is indeed cause for fatigue, as pyruvate is needed for the Krebs cycle to run. The krebs cycle is an essential step in the generation of ATP in aerobic organisms. (B) is incorrect because NADH is never transported into the mitochondria in any organism (it is a nonsense answer). NADH cannot simply pass into mitochondria for oxidation by the respiratory chain, because the inner mitochondrial membrane is impermeable to NADH and NAD+. The solution is that electrons from NADH, rather than NADH itself, are carried across the mitochondrial membrane. One of several means of introducing electrons from NADH into the electron transport chain is the glycerol 3-phosphate shuttle (Figure 18.37). 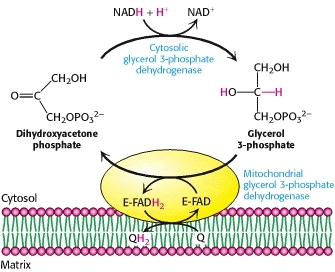 Electrons from NADH can enter the mitochondrial electron transport chain by being used to reduce dihydroxyacetone phosphate to glycerol 3-phosphate. Glycerol 3-phosphate is reoxidized by electron transfer to an FAD prosthetic group in a membrane-bound glycerol 3-phosphate dehydrogenase. Subsequent electron transfer to Q to form QH2 allows these electrons to enter the electron-transport chain. The lack of glucose oxidation takes away the main power supply of aerobic organisms, causing fatigue. Lactate buildup may also induce fatigue. Not the answer you're looking for? 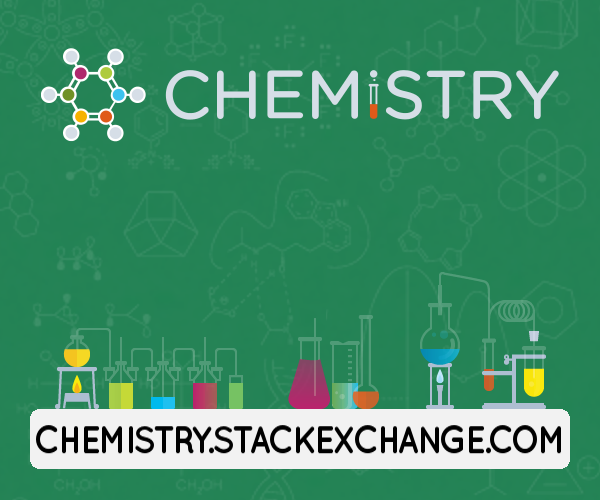 Browse other questions tagged biochemistry homework cellular-respiration fermentation energy-metabolism or ask your own question. Why is a lack of oxygen fatal to cells? Why is carbon dioxide produced in alcohol fermentation but not in lactic acid fermentation?